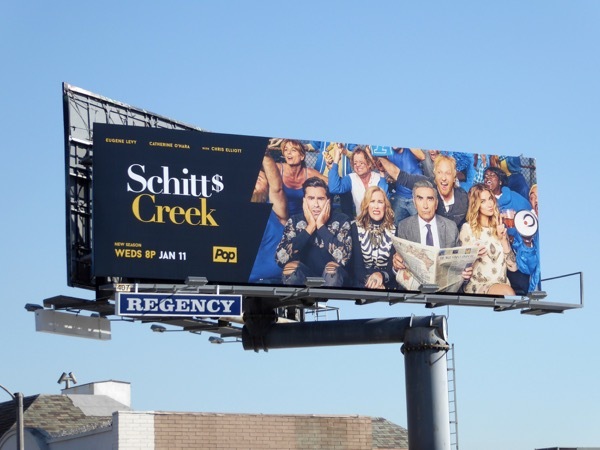 Scripted Canadian comedy Schitt's Creek is paddling back onto screens for a third season this New Year. Eugene Levy, Catherine O'Hara, Daniel Levy and Annie Murphy return as the 'Rose' family, still longing for the extravagant, pampered life they used to live, but slowly warming to the down-to-earth everyday life of the lovable town they've come to call home. 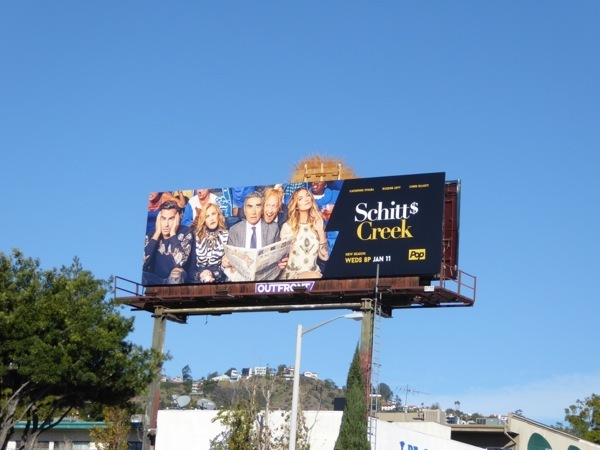 These season three billboards, which find the family like fish out of water in the stands of a ball game, were snapped along West Hollywood's Sunset Strip and Fairfax Avenue on December 17, 2016. 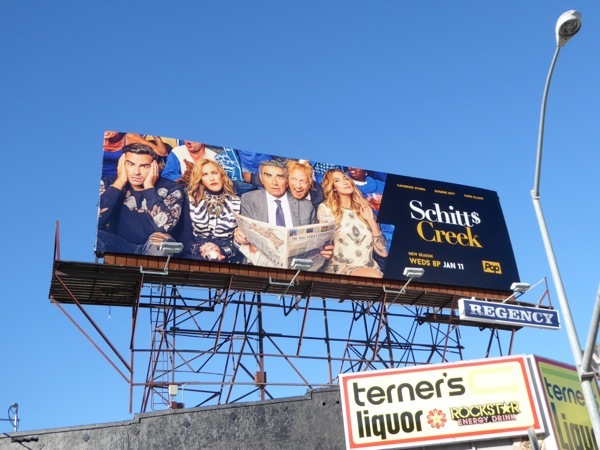 Fans of the show can also check out these Schitt's Creek season one billboards from 2015. Can you imagine if Donald Trump and his privileged family had to give up their wealth and exist like the families in the Rust Belt that supported them, then they'd see how the other half lived. 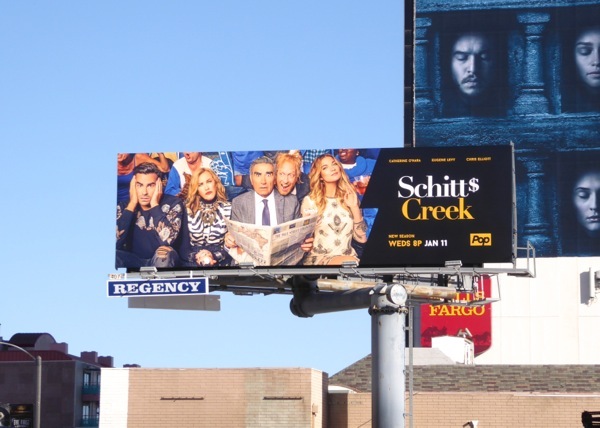 That's a series Daily Billboard would love to watch. 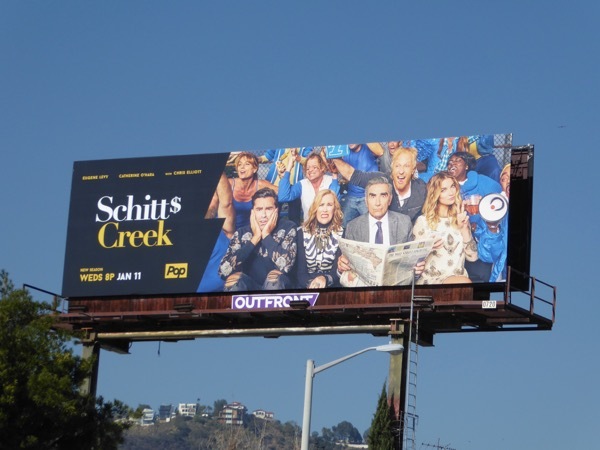 UPDATED: Here's also a second ad creative in the campaign, flipping the logo from right to left and with some different facial expressions from the cast, including Chris Elliot as the enthusiastic sports fan. 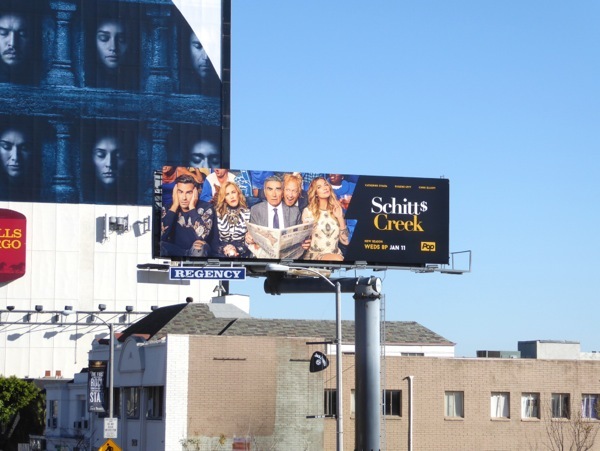 These season three billboards were snapped along the Sunset Strip and Fairfax Avenue on January 14, 2017.